It’s shower season and we've rounded up the best housewares, treats and experiences to help you spoil the brides in your life. BedMade in Burnaby, these technicolour sheets from Bed are highly covetable. They are hand-dyed with natural colours so they’re kind to the environment. 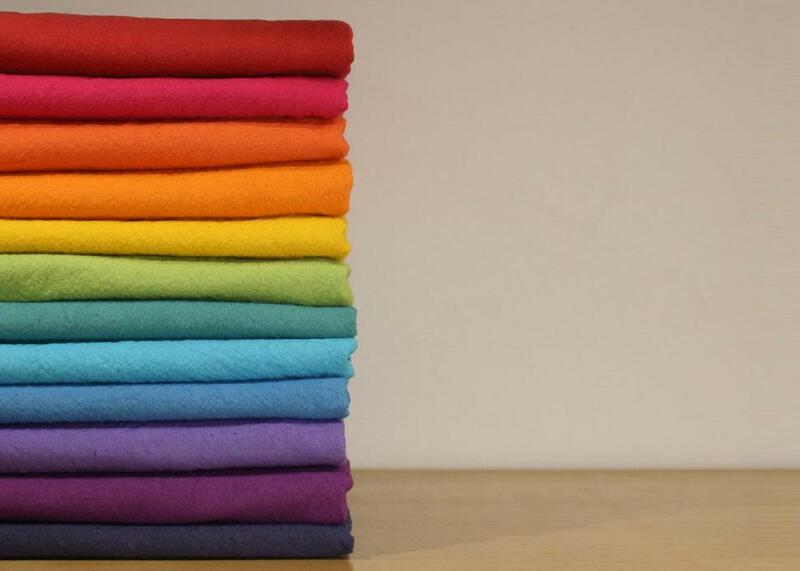 With a huge range of colours to choose from, you can pick her favourite colour or even copy her wedding colours. You could split a duvet cover, fitted sheet and pillow cases with other shower guests to make a complete set. Brides have a lot of entertaining ahead of them leading up to and after the wedding. Help her out by gifting her with a bottle of B.C. wine. 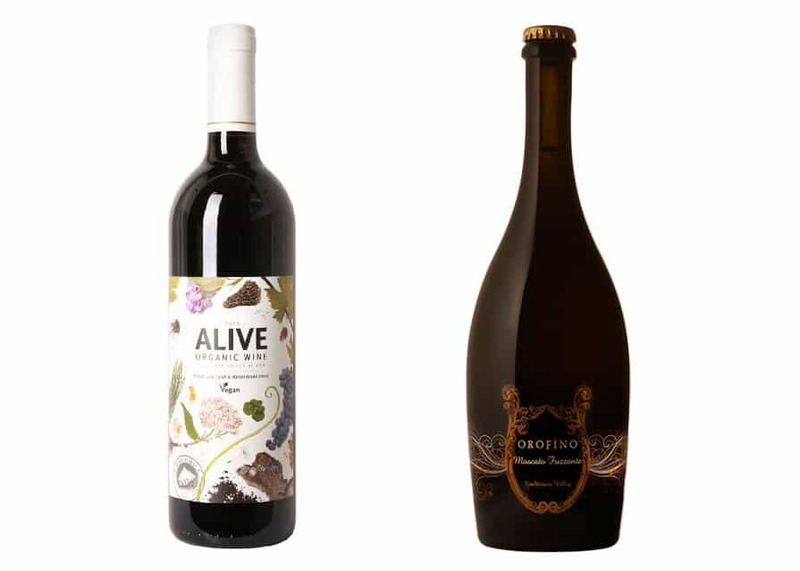 Summerhill Alive Red Organic is a juicy red blend that will spark conversation at the table. Or for a fun B.C. bubbly that she can add to brunch mimosas, try this Orofino Moscato Frizzante. 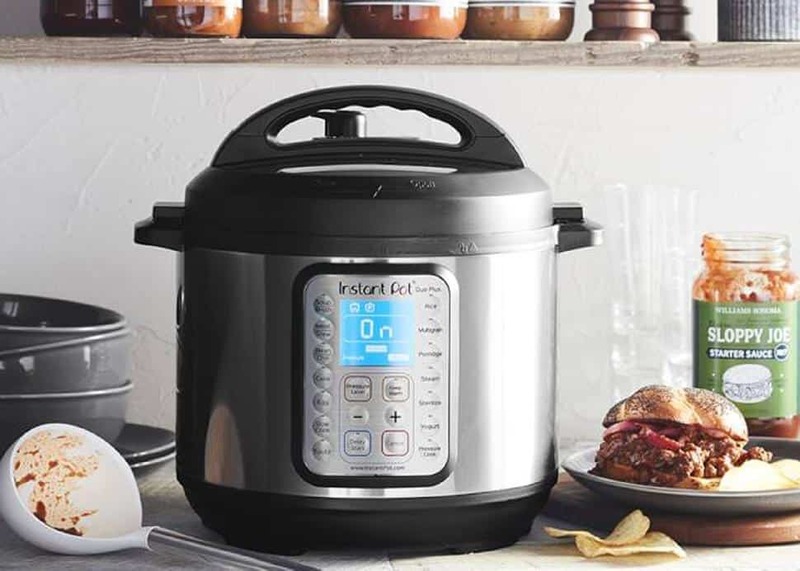 Facebook/InstantPotThere’s no end to what you can do with an Instant Pot. This is one of the hottest appliances right now because of its minimalist features and versatility. It makes a great gift for brides because it helps save time—and it may even encourage them to experiment with recipes they never would have thought to try. 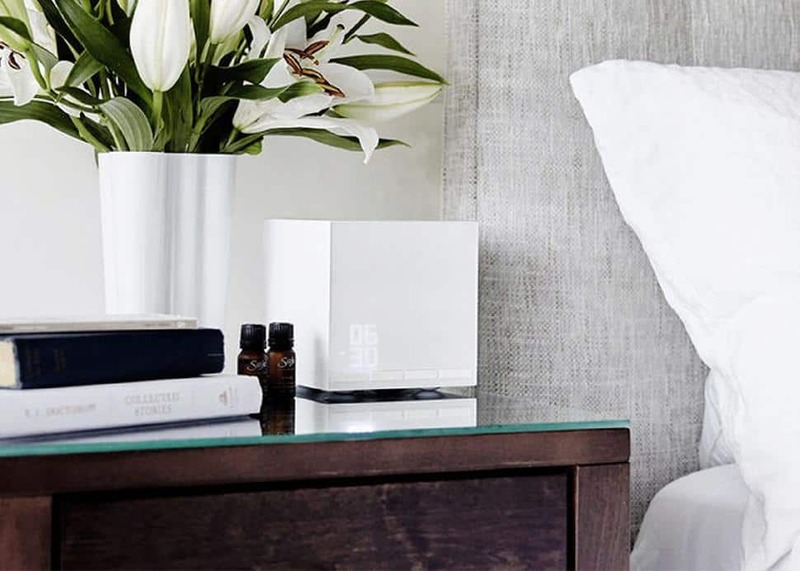 SajeAny bride would adore this Saje diffuser that also functions as an alarm clock. With two separate tanks on timers, she can energize her mornings and calm her evenings with essential oil blends. Pair it with her favourite essential oil so she can wake up to the scent on the day of her wedding. 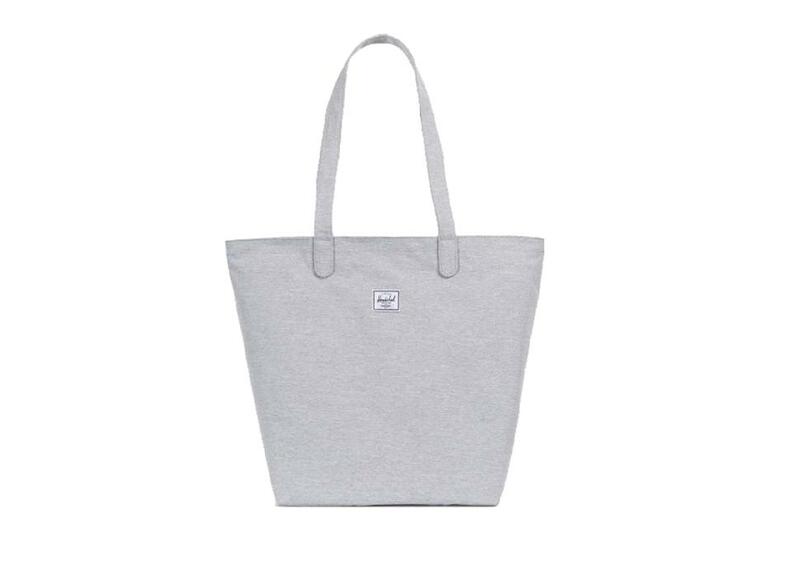 HerschelThis simple and chic tote bag from Vancouver brand Herschel will keep any hectic bride organized leading up to the big day. It also makes a great carry-on bag for her honeymoon. 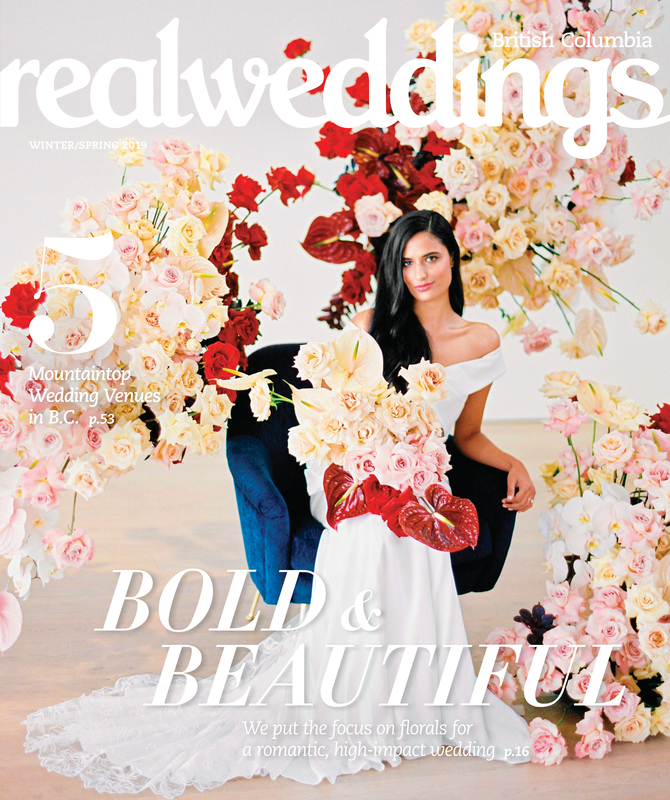 The first edition of Real Wedding's The Missus Box features a collection of gift items curated by the magazine’s editorial team, especially for brides. With beauty products, jewellery and more, this would be an excellent gift for her to unbox at her shower. 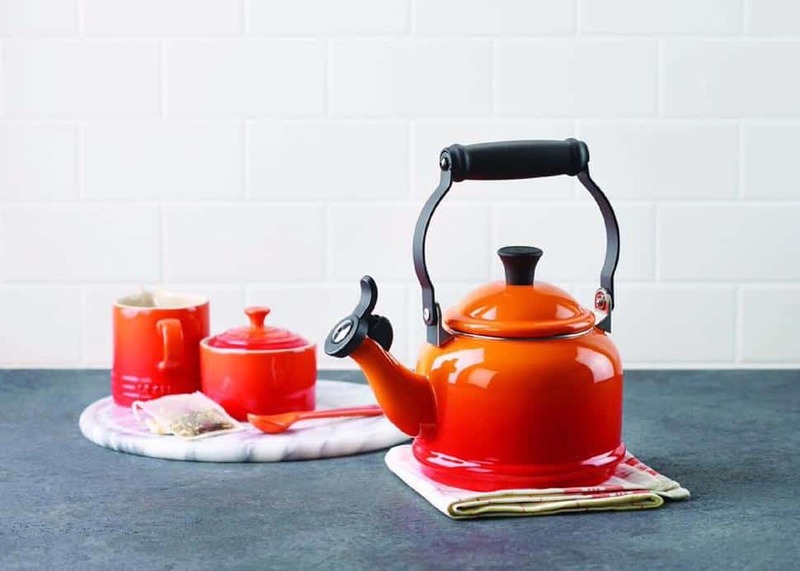 Facebook/LeCreusetThis kettle will bring a pop of colour and a touch of vintage charm to any bride-to-be’s kitchen. Made of steel and finished with chip-resistant enamel, this kettle will last a lifetime and will be a staple in her kitchen forever. Natalie LangstonSo she doesn't get cold feet (and we mean that literally), these incredibly cozy socks from Blush Peony are a great gift idea. In a soft pink twist-knit with fleece lining, they're perfect for summertime to wear by the campfire or at the beach; in the winter, they're a must-have for chilly nights reading or even sleeping. There is no shortage of gorgeous decor at Anthropologie. Wander around the store and pick up the first piece that you know your bride will adore. There’s something here for everyone. 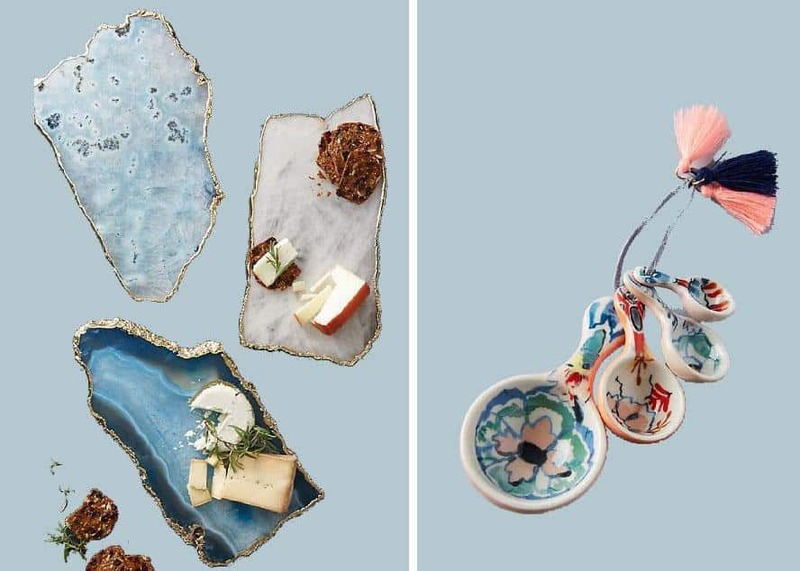 We love these gemstone cheese boards and folksy measuring spoons. Give her a gourmet snack to reach for when the wedding planning starts to stress her out. 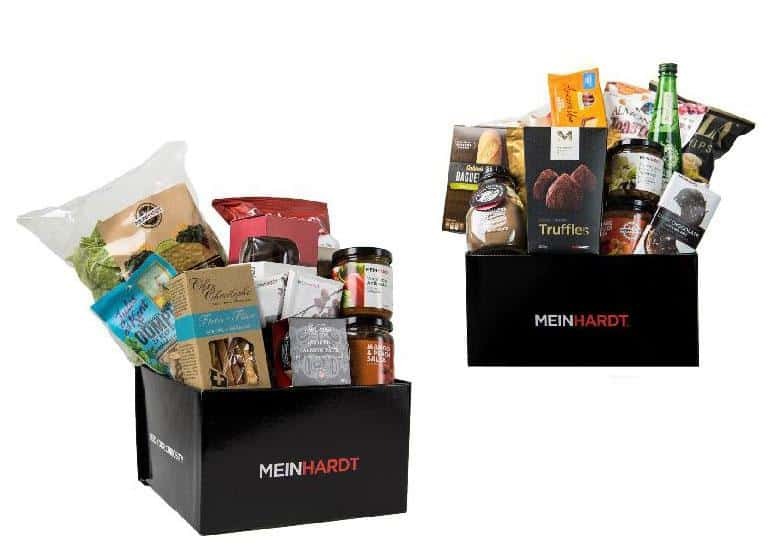 These gift baskets from Meinhardt offer a curated selection of local treats. The Taste of B.C. basket offers delicious provincial snacks that she won’t want to share. There’s also the Party Starter basket that makes a perfect date night for her and her fiancé. LululemonIf you have heard non-stop about how your bride is getting in shape for the wedding, then this is a gift she will truly love. There’s nothing like fresh, cute workout gear to keep you inspired to exercise and B.C. brides can never have too many Lululemon tights. 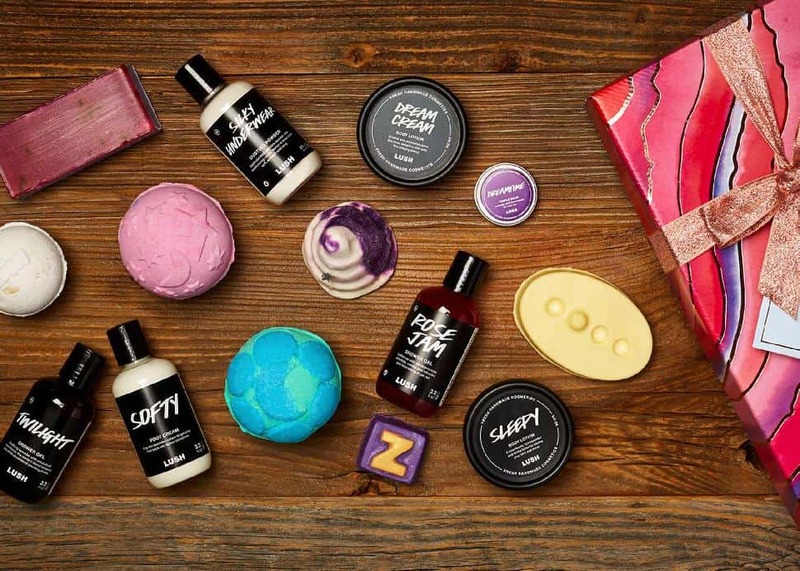 LushShower her with Lush gifts and goodies in a range of stress-busting fragrances—think calming lavender, vanilla and soothing chamomile. 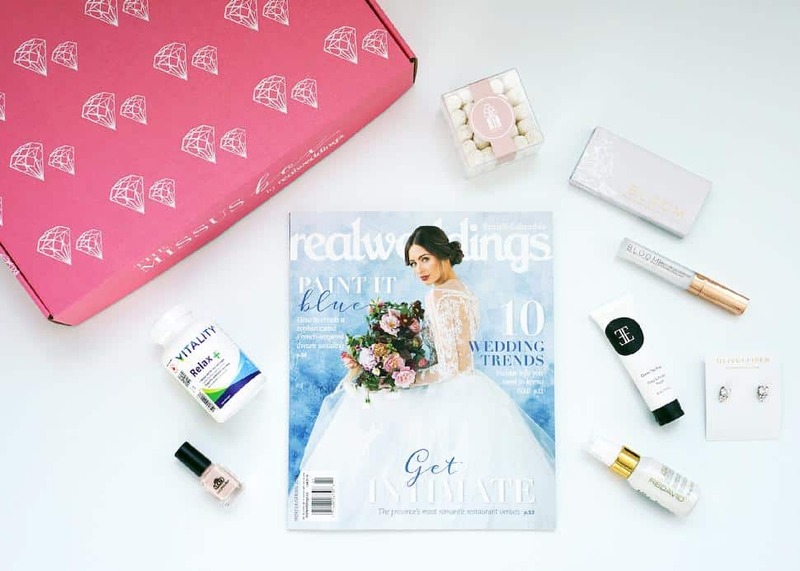 This Relax More gift includes 14 bath, shower and body products that will help any bride get through the stressful lead-up to the wedding with grace. Chapters IndigoA cookbook is an old bridal shower gift standby. Keep things modern with a selection that reflects your unique bride. Feast is great for the bride who likes to eat local. Plant-based brides will delight in the My New Roots cookbook. For the bride with the sweet tooth, get her the official Butter cookbook. 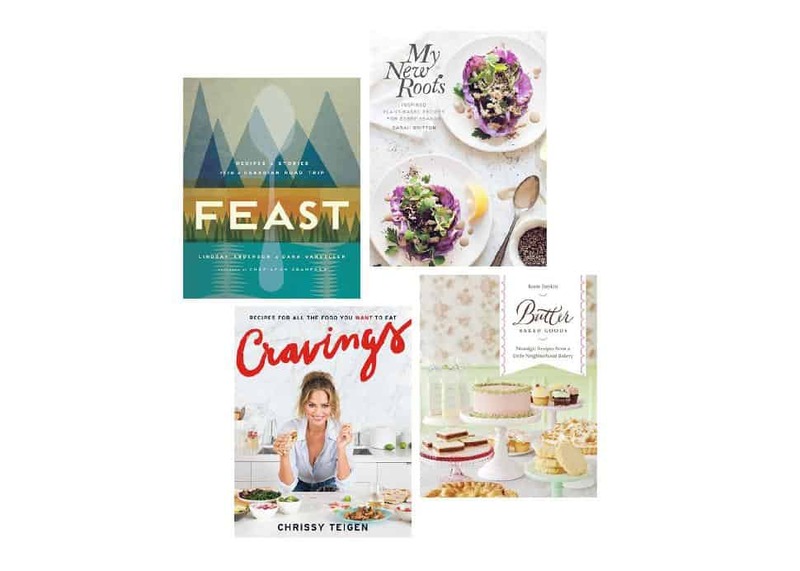 For the sassy-food loving bride, get her Chrissy Teigan’s Cravings. AnthropologieComfortable, sensual and practical, a robe is a great gift for a bride. This kimono robe from Honey could even make a cameo appearance in her wedding photos as she gets ready to put on her wedding gown! Fresh PrepWhat better gift to give a busy bride-to-be than the gift of not grocery shopping. A gift card for Fresh Prep makes an ideal choice for your foodie bride who doesn’t have enough time for prep work and shopping but still loves to cook. 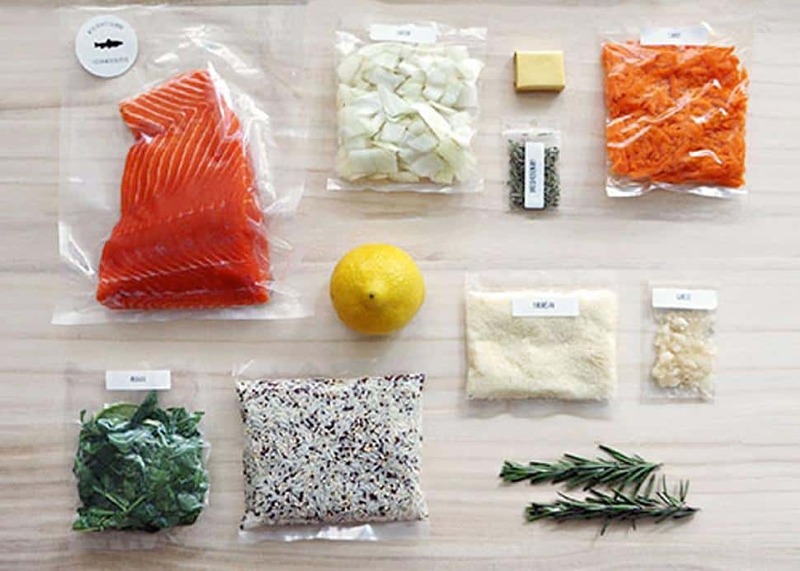 Fresh Prep delivers prepared recipe ingredients to her door so she can whip up a fantastic home-cooked meal in no time. 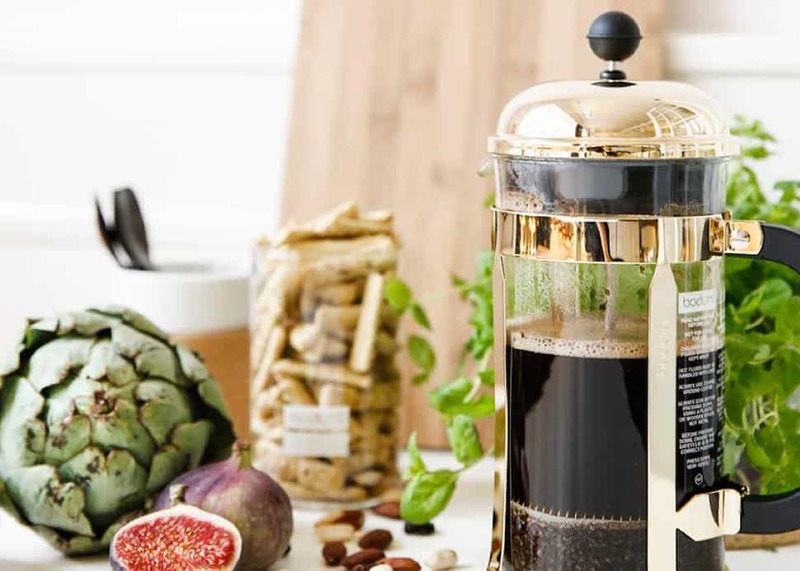 Facebook/BodumA classic French press is a must-have for brides who drink coffee and tea—it’s the simplest and most delicious way to brew. This timeless copper-hued Bodum will make a great addition to her breakfast table. SempervivaSpending money on a monthly yoga membership has probably fallen to the bottom of your bride’s priority list as she’s preparing for her big day. Gift her with a 10 class pass to Semperviva to give her a chance to recharge and refresh with yoga. You can even join her and bliss out together. 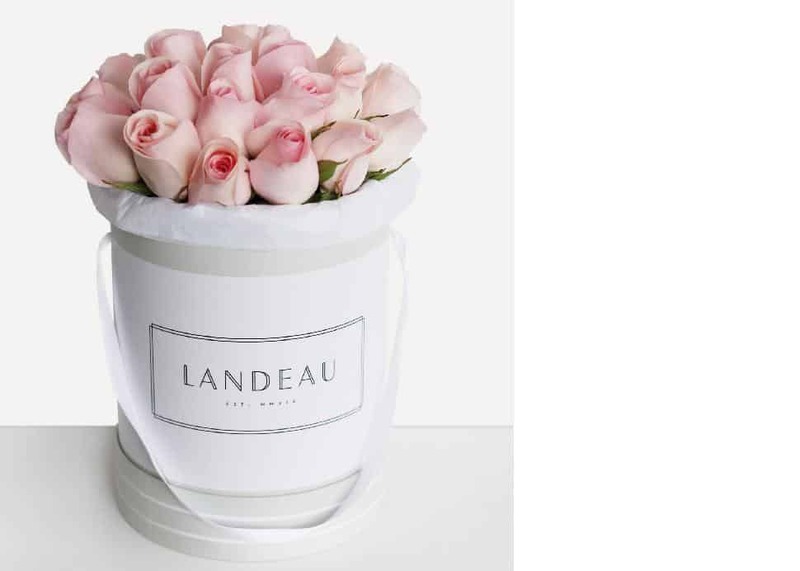 Landeau's Parisian-inspired hat box of 25 Ecuadorian roses is a perfect wedding shower gift. Inside the box is a vase, so the busy bride doesn't have to worry about putting her blooms in water right away. Bouquets are available in six different colours and delivered to her door.